Top 5 Mega Renewable Energy Power Plants Of Planet Earth - 12Vmonster Lighting and More! Electricity, as a big part of our life, is often ignored and regarded as an ordinary thing rather than a luxury. However, our every day electricity is actually produced with tremendous resources and a vast amount of technology. Since it was founded in the late 19th century, humanity has put a significant amount of research, studies, and has invested billions if not trillions of Dollars for its development. And with that, massive power plants have been built to power millions of houses and public venues all around the globe. Although the talk about renewable energy just escalated over the past decade, the usage of renewable energies to produce mass electricity is nothing new. In fact,the oldest water-powered power plant was built in 1882, among one of the very first generators ever built by men. However, the recent trend has pushed the scientific direction towards more utilization of the renewable energy sources.As its fruition, more renewable energy powered power plants has been built. More advanced and more massive than ever. Below, we'll see the biggest power plants powered by renewable energy ever built by men, divided into each energy sources: solar, wind, water, biomass, and geothermal. 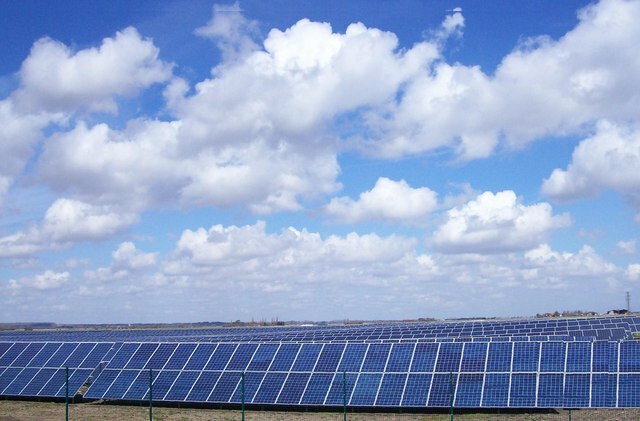 The current holder of the biggest solar farm status belongs to the Longyangxia Dam Solar Park, producing an impressive 850 MW of electricity at its maximum capacity. As the name suggest, it was initially built as a hydroelectric dam, and the hydroelectric generated is no joke. With 1,280 MW capacity, or 1,400MW at its peak capacity, the combined hydro and solar power generated exceeds 2000MW. The solar farm itself was built just very recently in 2013, exceeding the previous biggest solar farm, the U.S. Solar Star in California by 30%, having 271 MW more than the 579 MW Solar Star. The hybrid technology of hydroelectric and photovoltaic system used by Longyangxia Dam has been a major advancement of power generator technology and has been intensively studied, such as this case study from the International Hydropower Association. Could this technology be used to enhance other hydroelectric power plants all around the world? We'll wait and see. But, Longyangxia Dam's status won't last for long. As of 2015, an astonishing 2.1 GW (GigaWatts) of Solar Farm is now being built in Chile, with 741 MW already operational. When it's fully operational by the end of 2017, it will have almost three times the power capacity of Longyangxia Dam. The largest wind farm in the world belongs to the world's largest superpower, and it's by no means an easy status to achieve. Being an onshore wind farm, its production exceeds even the largest of offshore farms, where there are more amounts of space as well as more winds. Alta Wind has the capacity of an astonishing 1,547 MW of electricity, more than doubled the London Array, the world's largest offshore wind farm with 'only' 630 MW of capacity. In comparison, the runner-up of the largest onshore wind farm, Bayannur Wulanyiligeng Wind Farm in China only has a 300MW capacity. Being a $1.2 Billion project in 2010, the solar farm sits on 3,200 acres of areas in Tehachapi Pass, California. According to Infrastructure USA, it decreases reduce carbon dioxide emission in California by 52 million metric tons, equivalent to those produced by 446,000 cars. If you live in California, chances are, your household is lit up thanks to the Alta Wind. China is again the owner of the biggest water-powered electricity plant in the world. Shouldn't be a surprise, since their number of populations demand more electricity than any country in the world, and power generation is indeed a pressing task for China. Three Gorges Dam has a capacity of a massive 22,500 MW, producing 98.8 TerraWatt/Hour of electricity every year for the people of China. The production per year actually tied with the runner-up, the Brazil-Paraguay Itaipu Dam, due to the lack of water every 6 months in China in their dry season. The dam, however, was a subject of concern over its wildlife impact. National Geographic in their 2006 article, questioned the dam's effect on the extinction of baiji, the Yangtze river's white dolphin. The dam also forces more than 1.3 million residents to relocate, as well as flooding archaeological and historical areas on its location. Even renewable energy has a negative effect on nature, after all. The Drax was originally a coal-powered power plant, and only in 2004 they started using wood pellets as a secondary fuel. From wood pellets only, the Drax has a capacity of 1320 MW of electricity. The coal-powered primary plant has a capacity of an additional 2,540 MW . With the capacity of 3,960 MW in total, it is the largest electric generator in the United Kingdom. The biomass itself has been responsible for a fire incident in 2011, covered by The Journal, and again in 2013. England is indeed the current leader for Biomass power generation, with the second and third largest power plants also belong to them. The Tilbury B power plant in Essex, now decommissioned, has a 750 MW capacity, while Ironbridge B in Shropshire has 600W. Both of them also utilized wood pellets as its biomass source. 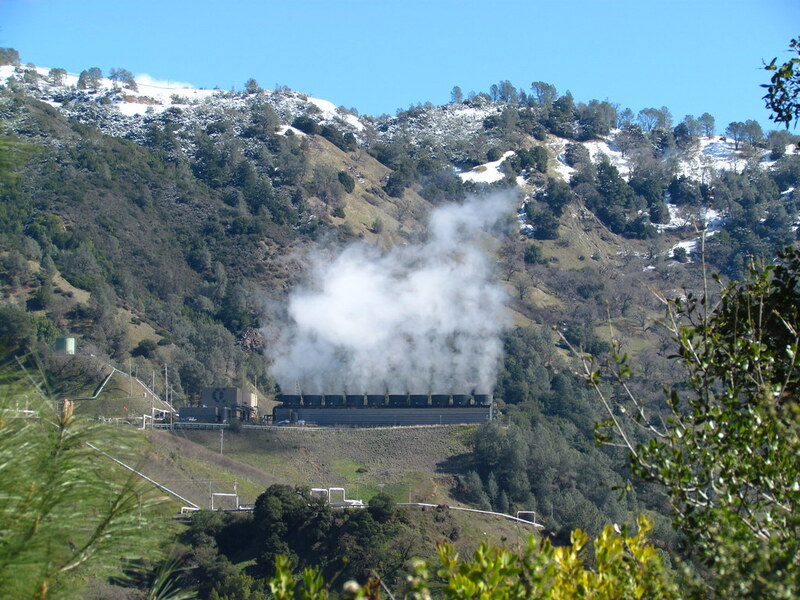 The Geysers have 22 functional geothermal power plants with more than 350 wells, with the capacity of 1.808 MW. The capacity almost doubled the runner-up of the category, the Mexican Cerro Prieto of 958 MW capacity. The Geysers spanned in an area of 30 square miles (78 km2) and was first built in 1921. In 2015, it produced an astonishing 87.000 TWh of electricity. According to the Earthquake Report, The Geyser may be the cause of frequent, moderate earthquakes in the Area. Research suggested that there was very little earthquake activity prior to geothermal digging. However, whether The Geyser actually is the cause remains questionable. Currently, many projects for bigger power plants is underway or being planned. With the increasing population of the world showing no signs of slowing down, we will need even bigger power plants than what we have today. The technology for renewable energy is advancing at a tremendous rate, not only to increase production capacity and efficiency but to combat the negative effects of nature and the human population. We are on the way for a better planet, after all.